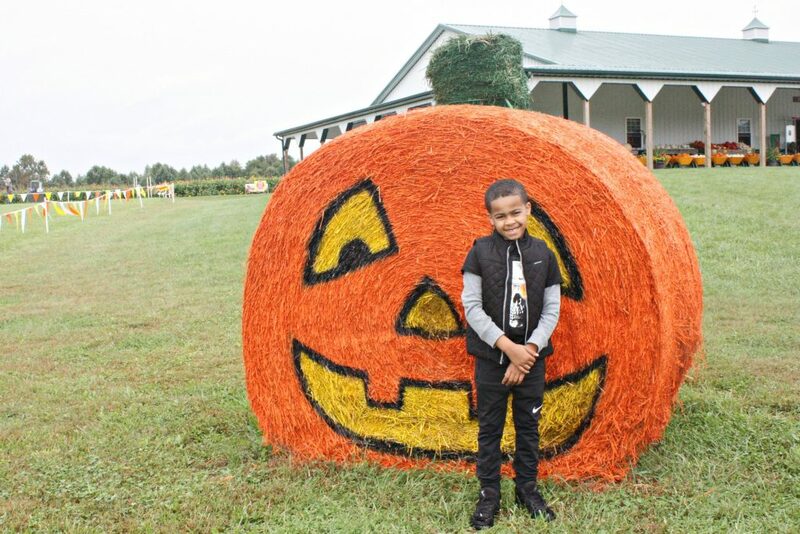 Cornucopia Farm Review by Brennon Hightower | You Must Put Cornucopia Farm on Your Fall Bucket List. Here's Why. 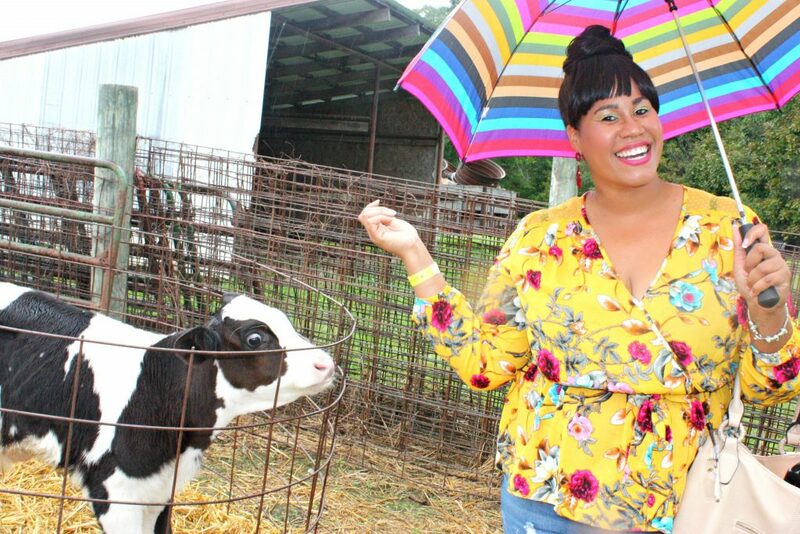 To honor Lady Fall making her entrance this past Saturday, we headed to Cornucopia Farm in Scottsburg, Indiana. And, after spending an afternoon there, I have to tell you that - you must put Cornucopia Farm on your Fall Bucket List. Here’s why. 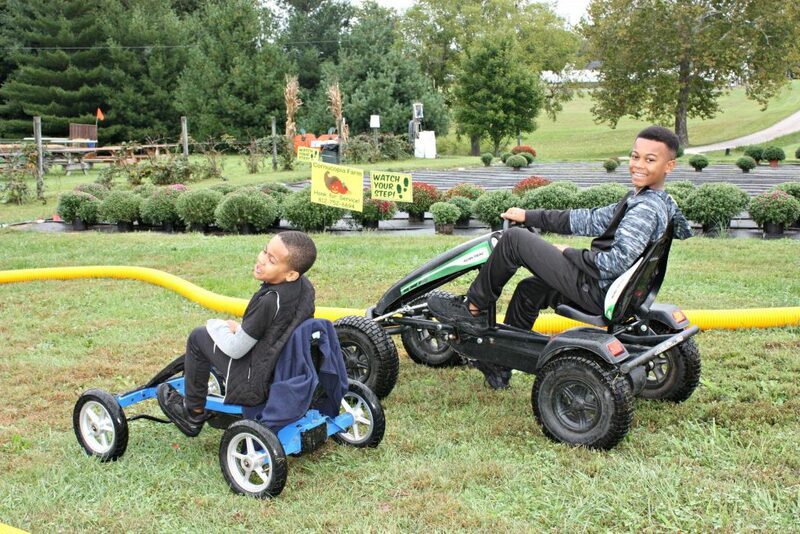 Cornucopia Farm is a family-owned farm with an emphasis on family fun, entertainment, and farm education. 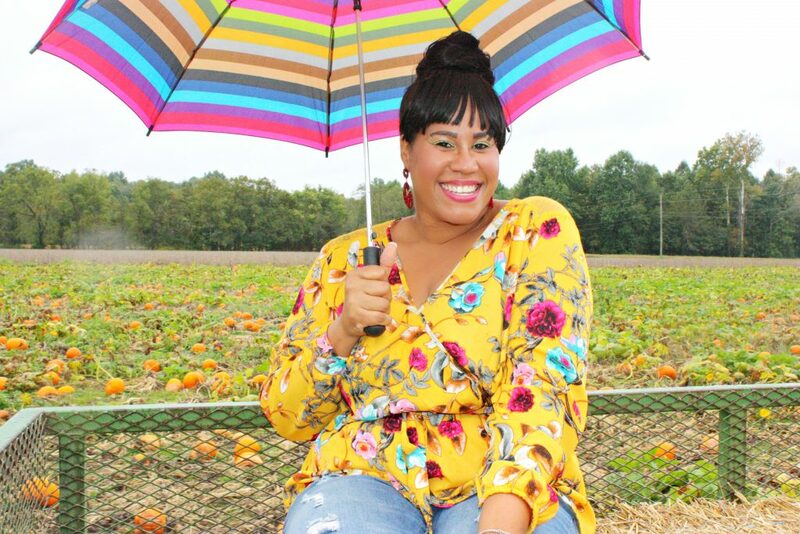 This ensures that you and your family will not only have a great time and check the pumpkin patch off your Fall Bucket List, but you will also learn a little something along the way, as well. My advice would be to create a list of questions you would like answered. Therefore, as you participate in various activities on the farm, you could also have your questions answered. Thinking back, I wish we would have done this. 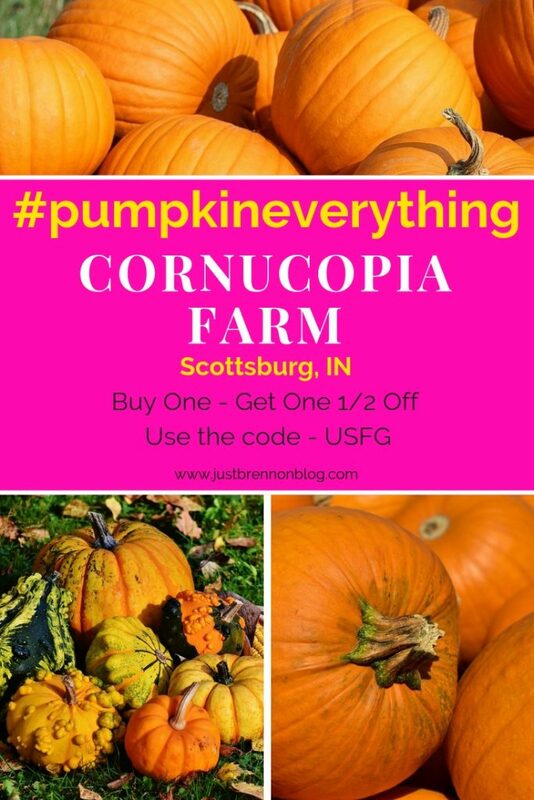 Cornucopia Farm is located at 5444 N Rutherford Hollow Road in Scottsburg, Indiana. While it is a quick drive from several metropolitan areas such as Cincinnati, Ohio, Indianapolis, Indiana, and Louisville Kentucky - it made for a day trip for us. We are a little over an hour away from Indianapolis, so our trip was about 3 hours each way, but definitely well worth the day trip! We even plan on returning because we didn’t make it through all of the attractions. Speaking of attractions, let me tell you what you can expect. There were so many attractions to choose from that we didn’t make it to all of them in the amount of time that we were there. So, rest assured, there is something for everyone. There is both, a soybean maze and corn maze. 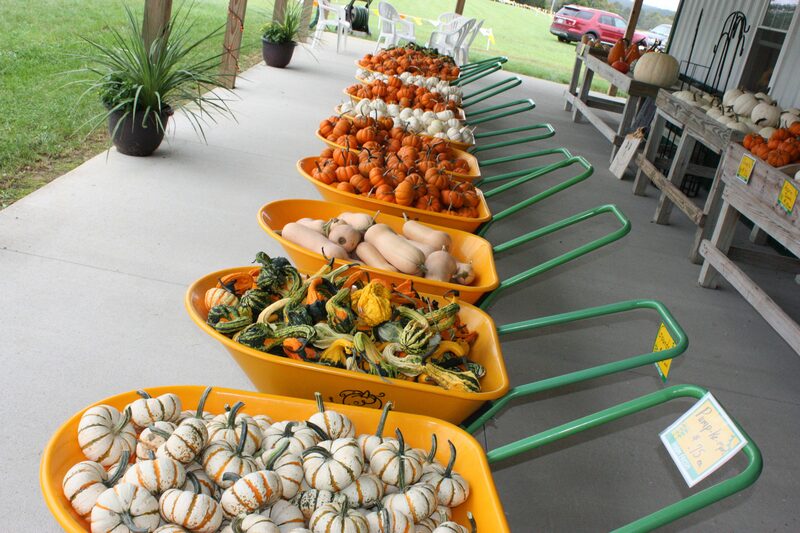 This was amazing to see because I have not yet been to a farm or pumpkin patch that offered both. Normally, it’s either or. At Cornucopia Farm, you have both! You know from my Fall Bucket List that I was looking forward to the Pumpkin Patch the most right?! And, get this. I forgot to get a pumpkin. LOL. I was so caught up into all of the attractions that they had, and the fact that my hands were full with the boys, carrying an umbrella while dodging raindrops in high heel boots that - I guess I forgot. Nevertheless, I was amazed at the vast Pumpkin Patch. It seemed to stretch forever with all size pumpkins, both white and orange, as well as a variety of unique gourds. 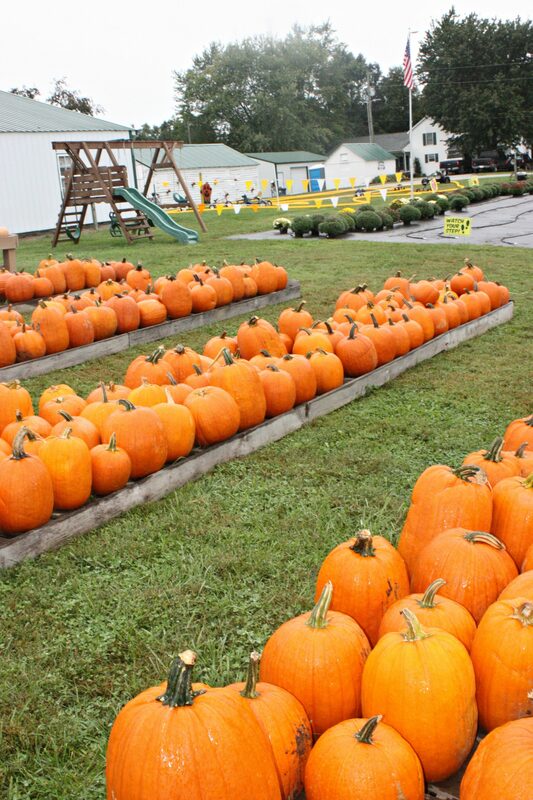 Visitors may ride in the tractor-drawn wagon to the pumpkin patch to select their own pumpkins. Wagon rides are included in general admission. 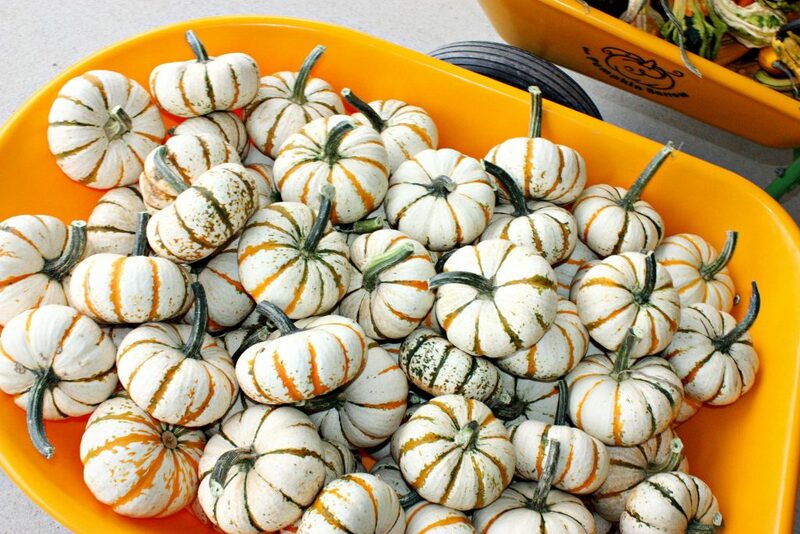 Keep in mind that pumpkins are weighed and priced by the pound and wagons are available. Aside from the Pumpkin Patch and wagon ride, I personally enjoyed the Petting Farm, the colorful hay bale photo opportunities, the Flower Patch, and the Cornucopia Café. The Flower Patch was gorgeous and I was able to have a fresh sunflower cut to take home. How beautiful! The animals in the Petting Farm were adorable and friendly. Food is available to feed them for .25 cents per handful from the machine. And, as an FYI, Daisy stole my heart. Not only did Daisy steal my heart when I met her, but there is also a colorful hay bale replica of her as you make your way to meet her. She’s not the only colorful hay bale. There was also a pink pig, a black spider (that I thought was a bat..hahha), a tractor, and Happy Jack the pumpkin. My son loved Happy Jack! Can’t you tell? Speaking of what they loved…. The boys loved, loved, loved the Terrific Tunnel Slide, the Swing Set, Duck Races, the Big Trikes, and of course, the Cornucopia Café and Checkers. 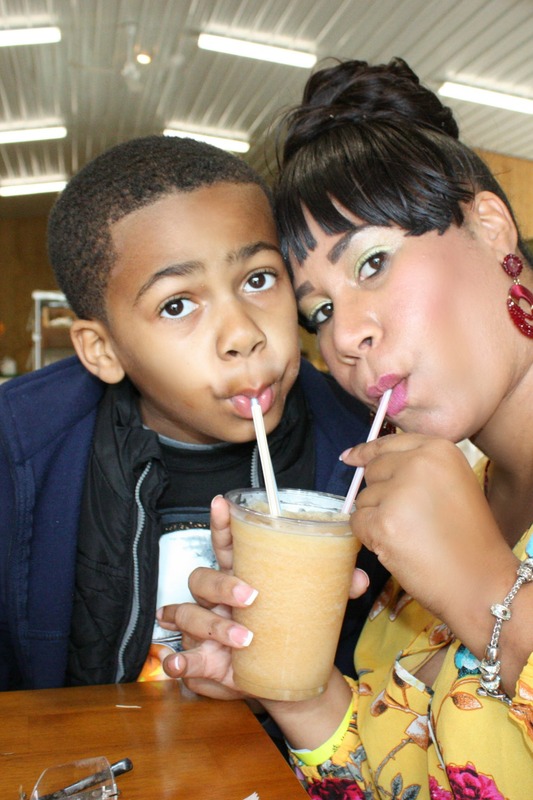 The Cornucopia Café offers a variety of foods and treats to eat, but our favorites hands down were the Apple Cinnamon Donuts made right in front of our eyes paired with a yummy, refreshing Apple Cider Slushie! 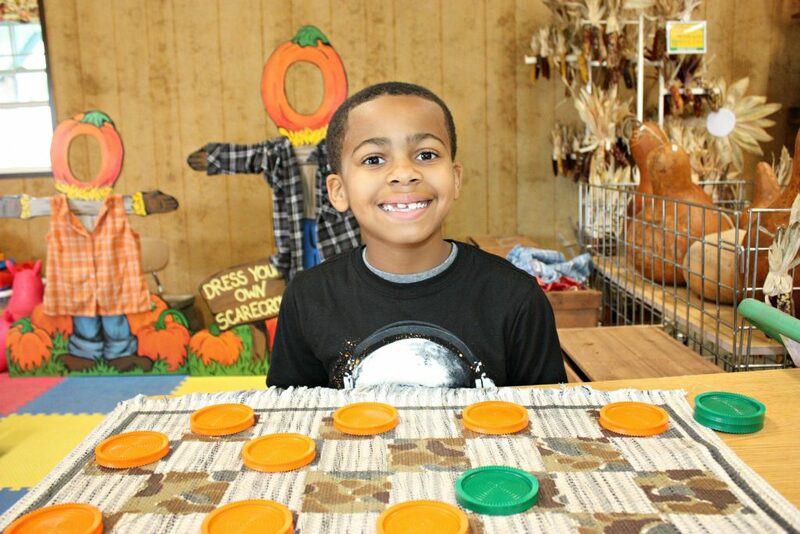 Cornucopia Farm is open now through November 3rd. Admission is $9 for Adults and and $7 for Children. For additional details on the farm, please visit Cornucopia Farm or use this US Family Guide link for a BOGO coupon. This post is in partnership with US Family Guide and Cornucopia Farm. A special thanks to Val, Linda, and the entire staff; we greatly enjoyed ourselves!